It seems the cloud is hard to escape these days – both in your daily tech life, and on websites such as ours. Only last week I wrote an article about cloud-based PowerPoint alternatives 4 Excellent Browser-Based Alternatives to PowerPoint 4 Excellent Browser-Based Alternatives to PowerPoint Did you know people still actually use presentation software for work purposes? It’s true! In this age of always-on cloud connectivity, more and more browser-based solutions exist. You don’t even need PowerPoint installed on your... Read More , the week before an article about DOS games in the cloud Play DOS Games In Chrome With NaClBox and Google Native Client Play DOS Games In Chrome With NaClBox and Google Native Client There are a lot of exciting new Web technologies emerging at the moment, with Google’s Native Client joining HTML5 and CSS3 in paving the way to a more versatile and interactive Internet. Robert Isaacs has... Read More and before that you might have caught me harping on about online backup solutions Read This Before Choosing An Online Backup Provider Read This Before Choosing An Online Backup Provider Backing up your files is a no-brainer - at least it should be. Hardware failure, security breaches, natural disasters, thieving scumbags and clumsiness can all lead to heart-in-mouth moments when you realise that your precious... Read More . There’s good reason for the buzz – it’s both handy and a growing necessity to have quick access to your important files in this day and age. We live in a world where our constant connection to the web has spilled over into every corner of life – from the never-ending stream of email in your inbox to your smartphone that has an app for just about everything. The “big 3” are often considered to be Microsoft, Apple and Google’s offerings – so this week we’ll be discussing the virtues of each when it comes to mobile usage. Apple’s cloud-based storage solution, aptly named iCloud, is somewhat different to the other two in that you need to purchase an Apple device in order to use it. That said, the iPhone is the single most popular smartphone (read: phone, not platform) out there so there are a lot of people who do in fact own an iPhone but happily use Windows or Linux as their primary desktop operating system of choice. Perhaps a more pertinent consideration is whether or not the purchase of additional iCloud storage is in fact worth it, especially if you’re already heavily invested in the Apple ecosystem. Just to refresh, you can purchase an additional 10GB, 20GB or 50GB of iCloud storage for an annual fee of $20, $40 and $100 respectively. This is in addition to the 5GB you get for free, which is then used to keep your data synchronised across all of your Apple devices. If you have a Mac and iPhone (and possibly an iPad) then this is starting to look like a good option, with iCloud now more deeply integrated than ever into iOS and the latest OS X release, Mountain Lion. 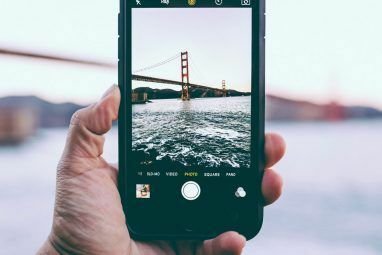 If you’re purchasing an iPhone or iPad then the 5GB of free storage should be one of the first things you set up, even if you only use it as backup. Your iPhone will automatically save a copy of all your data to the cloud whenever plugged in, connected to Wi-Fi and asleep (this feature is enabled by default) meaning you can restore a backup even if you’re thousands of miles from home, provided you have time and an internet connection When iPhones Go Wrong – Restoring From iCloud Backups [iOS] When iPhones Go Wrong – Restoring From iCloud Backups [iOS] Like any Apple product, the iPhone just works right? Unfortunately, we don’t live in a perfect world and regardless of what anyone will tell you, iOS is not perfect. Things go wrong, but luckily there... Read More . Free storage: 5GB, limited to Apple customers only. Extras: Find my iPhone, Find my Mac, Back to my Mac, @me.com Email, iOS Backups in the cloud. Web access: Contacts, Calendars, Mail, iWork Documents @ iCloud.com. Software integration: All iOS devices compatible with iOS 5 and above, Mac OS X 10.7 and above (integration into core apps such as iPhoto and TextEdit), Windows with iCloud Control Panel (limited features). Who it’s good for: iPhone, iPad and Mac users, 5GB of free backup for anyone with an iDevice should be taken advantage of, those who use Reminders and Notes apps on their devices or appreciate having Contacts synchronised across the board. Who it’s not good for: Users who don’t own Apple products, less useful for Mac users with tablets or smartphones which aren’t iPhone or iPad devices. Bottom line: 5GB of complementary space is definitely worth it for iPhone or iPad users as a backup, though iCloud isn’t as flexible as the other services when it comes to file storage. Sign up anyway, just don’t expect to rely on it solely without spending more money on space. Microsoft’s SkyDrive offering is decidedly Windows 8 in look and feel, and unlike iCloud it’s available for every major platform including iOS, Android and their own Windows Phone OS without the need for a Windows PC or other Microsoft device. You also probably already have an account which you can use – if you’re an Xbox gamer, Hotmail user or still have your MSN Messenger account credentials somewhere then you only need to sign in to receive 7GB of free space. If you signed up while the offer was still there, you had a chance to grab 25GB of space at one point. The free storage space is the most offered by any of the free services here, with increased storage being cheap with 20GB, 50GB and 100GB upgrades available for yearly payments of $10, $25 and $50 respectively. Windows Phone 7 users will have to download the app from Windows Phone Marketplace in order to access files, but the snaps they take with their phone will then be automatically uploaded and available from SkyDrive enabled PCs, Macs and of course the Web. Windows Phone 8, announced a few months ago, is set to bring even further integration with Microsoft’s cloud storage offering though app developers have been receiving mixed messages when it comes to using SkyDrive as an iCloud-like backup solution. And that is where the biggest differences between iCloud and SkyDrive reside. SkyDrive is able to store and create files using a drag and drop or webapp interface, from SkyDrive.com but iCloud is primarily a backup and sync tool, with no options for document creation but automatic backup of your iDevice. SkyDrive’s impressive array of cross-platform mobile applications makes accessing files from an iOS, Android or Windows Phone devices pretty easy. It’s ideal for Office users who would like to access their SkyDrive documents on the go, and makes the perfect accompaniment to a backup such as that offered by iCloud. Who it’s not good for: Linux users as there is no support aside from web upload, users who have been using Google Docs for a long time. Bottom line: A great, cloud-based storage solution from Microsoft that performs an entirely different task to iCloud with a generous 7GB of space with mobile and desktop apps across the board. No file type limits and more storage than the others makes this a great choice, though backup for Windows Phone users would be nice. Google has done some wonderful things with Google Docs, the most recent being the integration with Google Drive. If you’ve been a user of Google Docs for a while now, you will undoubtedly love the ability to store just about any file type and preview many on your mobile. Google Drive’s killer feature – aside from the ability to create documents with their fantastic tools – is the fact that only non-Google Docs files consume allotted space. You can have as many Google Docs files or convert and upload your Microsoft Office and iWork files without taking up a single MB. Any files you do want to store verbatim will come out of your 5GB allowance which is upgradeable to 25GB or 100GB for monthly fees of $2.49 and $4.99 respectively. In terms of mobile apps, Google Drive has apps for iOS and Android but not Windows Phone. Both the recently updated iOS app and the Android edition have been graced with the ability to create create, modify and view your documents on the go (with the iOS version limited to editing and creating text documents, and the Android version devoid of presentation editing at the moment). 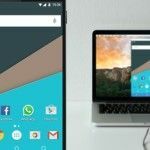 For tablet users, it really is a great tool to have access to – and even those on larger Android phones like Samsung’s Galaxy Note might find themselves getting more done. On the iOS variant, I couldn’t peek inside a .ZIP archive I had uploaded, but the option to “Open In…” and use another program was there. The ability to sync docs offline is great, but I was left thinking I might as well use Notes.app instead. Both Windows and OS X are supported with decent desktop apps that add a Google Drive folder which syncs with your PC. Android should probably be the best supported mobile OS here, and to a point it is. Unfortunately there are no backup solutions available at the moment that use Google Drive for storage. There is no option to automatically upload photos either (but then again Google+ does this) and I can’t help but feel Google aren’t making the most of Google Drive’s integration with the Android platform. On-the-fly editing and creation are great though, and the OS X and Windows desktop apps give both iOS and Android users the ability to drop their documents in a folder (or create them online) and access them on the go. Extras: Google’s entire Docs range of tools for document creation in a web browser and via the Android app (web access also possible from iPad), integration with a variety of other apps on the web, file sharing and collaboration. Software integration: Windows 7, Vista and XP, OS X 10.6+, Android 2.1+, iOS 5.0+ all via downloadable apps. Who it’s good for: Android users who like to create on the go, iOS users who appreciate text document creation and editing, Chrome OS users who’ve made the switch to lightweight web apps, Windows XP users who cannot use SkyDrive, Linux users disgruntled with the lack of proper apps to integrate with their OS (access via web interface). Who it’s not good for: Windows Phone users due to lack of a proper app, those who prefer “proper” desktop apps like Microsoft Word for creation. Bottom line: Google’s desktop creation tools are nearly on a par with Microsoft’s dedicated software packages, though proper integration of Docs has yet to arrive on iOS or at all on Windows Phone. 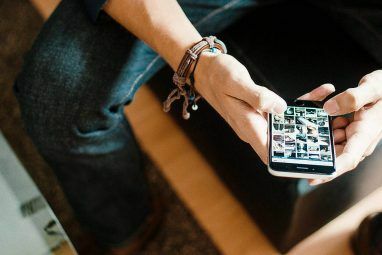 Android users get a great app to use, but further integration with the OS for the purposes of backup and photo storage would be nice to rival services offered by iCloud. Dropbox is of course another option, but then it depends on a number of factors. The service has the smallest capacity on a free account here, starting at just 2GB but expandable to 18GB. Then again, who do you know who doesn’t have a Dropbox account these days? If the answer to that question is “lots!” then get referring and earning more space. There are desktop versions of Dropbox for Windows, Mac OS X and Linux as well as a lightweight and easy to use Web UI, a heap of apps 5 Cool Apps That Make Dropbox Even More Useful 5 Cool Apps That Make Dropbox Even More Useful Read More and plenty of cool ways to use the service 4 Unique and Cool Ways to Use Dropbox 4 Unique and Cool Ways to Use Dropbox Read More . Android easily makes the best use of Dropbox, with the ability to automatically upload photos to Dropbox without opening the app. iOS users can’t do the same because Apple doesn’t let apps run in the background in such a manner, but the option is present and works when you launch the app (ultimately less useful though). Windows Phone users will be disappointed at the lack of an official app, so SkyDrive might continue to be the best bet there. Dropbox does support the ageing Blackberry platform, so if you’re still rocking a RIM device then it’s a fairly attractive wire-free sharing solution. There are also a lot of mobile apps for all sorts of platforms that can take advantage of Dropbox, check out this article for more ideas 8 Of The Best Mobile Apps For Your Dropbox [Android / iOS] 8 Of The Best Mobile Apps For Your Dropbox [Android / iOS] We've really only just reached the point were lots of apps are being written with integration to cloud storage in mind. Because of this, you may not have realised that quite a few very useful... Read More . As for backup, there’s only one solution for Android users and that’s Titanium Backup. You will need to root your phone in order to use it, but the Pro version has an option to backup to Dropbox. The functionality is nice, but it’s not quite as straightforward as iCloud and the rooting process is sure to put a lot of users off. Still, if all you’re doing is dragging and dropping a couple of pictures and documents into a folder, Dropbox should perform admirably – and it’s free, after all. If this post has confused you somewhat then I’m sorry, but the best answer is “use all three” or even all four. If you’re buying an iPhone, use Windows and love cloud-based Google Docs then the short answer is “all three”. If you’re an Android user with a Mac and the latest copy of Microsoft Office for Mac then the answer is “all three”. If you’re a Linux user with an iPad and Android phone then you’re always going to have a tough gig, but all three are at your service. The real choice is between SkyDrive and Google Drive – and it boils down to creation. If you’re creating in Google Docs then Drive will suit you well. If you’re paying a premium for Microsoft’s tool then you’d be foolish to ignore SkyDrive. And if you’ve bought an iPad and would like to save your app data, photos, notes and other irreplaceable data then you’d better have an iCloud account. Explore more about: Cloud Storage, Google Drive, iCloud, Microsoft SkyDrive. All of the service has it's own good reason to be used..
and dropbox also i used in the same iphone..
Re: Dropbox "As for backup, there’s only one solution for Android users and that’s Titanium Backup." Actually, there is an app in the Play Store called Dropsync (with free and paid versions) that can be set up to autosync one or more folders on your Android device to one or more folders in your Dropbox account. You can sync manually when you choose, or have it sync on a schedule. You can also choose to only have it sync when you have a WiFi connection. I use it to keep files (including photos) synced automatically between my Nexus S (phone) and my Transformer Prime (tablet) as well as my Dropbox folder which I can access on my various PCs. The free version lets you sync one folder. The paid version let's you choose multiple folders. It's definitely worth the money. Thanks for the info, but it's not quite the same level of backup iCloud or Titanium Backup provides. Since I've relied on and used iCloud heavily, a proper backup solution in my opinion should provide a carbon copy of your device. While Dropsync is great for keeping your photos and other data backed up, it can't restore your entire phone in the same way that iCloud/Titanium can. Still, it sounds like a very handy app to have around - and some backup is better than no backup, a lesson you don't really want to learn the hard way. well, as an Android user, the iCloud point for me is a moot one. Even if it were an option, I am not a fan of the apple. And, yes, if you're talking about backing up your entire device, including apps and settings, then (for Android) TiBu and/or My Backup Pro are the ways to go, but this article was about cloud storage of files, not backing up apps and app settings. You can't do that with SkyDrive or Google Drive either. Does iCloud back up apps and their settings? With Android you don't need a separate app or service for backing up your calendar, contacts, or even certain device settings like WiFi passwords, because they are all backed up to your google account. iCloud creates a carbon copy, provided you have the space available. So that's all apps (which afaik, don't count towards your quota because they're downloaded from the App Store), all app data, contacts, notes, alarms, reminders, text messages... even down to your dictionary, notification settings and other preferences. iCloud isn't a separate service or app, it's deeply integrated into the OS. You can choose not to use it, but seeing as it's free for all those with an Apple device it's silly not to use it. While you can't do this with Google Drive or SkyDrive, both of those services are provided by two big players in the mobile market - Microsoft and Google - and it really would be nice if they'd add something. As it stands, I'm not sure Android will get something similar any time soon due to the fragmentation and each manufacturer using different firmware, making the task harder. Nexus devices might, which would be great. As for Microsoft, I'm genuinely surprised they don't do this with Windows Phone already. They even have a clause in their documentation which chastises app developers for using SkyDrive as a backup location, though they've admitted they aren't really enforcing it. I assume that Windows Phone 8 might add something similar to iCloud, at least I hope so. So far I mostly use dropbox and ubuntuone. Both mostly because they cause the least amount of hassle. Dropbox works fantastic in the conglomerate of my galaxy nexus and my computers of various operating systems. If it is just about cloud storage like Dropbox with access from mobile Apps, there is a lot more options. TeamDrive ... is one of them with is really great. in version 3 there is a mobile app as well. Sugarsync ... Has a unique feature of synching things around without filling up devices with useless stuff. You can configure what directory you want to sync where. Wuala ... as well this one has a mobile app available. I use Google Drive mostly, because I like Google Docs. However, I use Dropbox to store my music. Really impressed with the Linux support. For me, SkyDrive is my #1 mainly because it offers 20GB for previous SkyDrive users before the big update. I keep all my school files online (lots of ebooks, pictures and big documents) so space is a must! DropBox is pretty good too, but you really need to rack in the referee bonuses before it becomes a viable option. Box.net is amazing with its large 50GB space (through special offers), but the 100MB file size limit is disappointing. Its a shame you didnt add SugarSync, Its truely is the perfect all ways cloud. It has support with all platforms, you get free 5gb + option to get much more easy. Its fast, unique and fun to use. I suggest you should review SugarSync.! Thanks for this article. Helps to make my mind up on choices to consolidate my cloud data. Am inclined towards Google Drive. Any comparisons with Dropbox? I happened upon a nice nugget of cloud storage yesterday with IDriveSync. (No, it's a capital I and not an Apple i.) It's easy as pie to use, low footprint both desktop and devices, and right now (for a limited time?) offers 10 GB of storage with a new account. You can upgrade storage to 150 GB for $50/year or 500 GB for $150/year. Also, they have a referral program. Have a look. i think skydrive triumph them all. because of the integration of skydrive with all of windows products. i use all except icloud. I use Dropbox on daily basis. It is the best solution so far for me. Don't own any Apple product, so iCloud is out-of scope for me. Abt SkyDrive, not worth as MS not trust-worthy. no. just saw looks good. They have mentioned unlimited space, is it true? As of me, as a middle class man. i dont woe an apple phone. so not using icloud. and skydrive is good with more space usability. but it doesnt support windows xp. while choosing in other i prefer sugarsync due to mobile application usage in my symbian mobile. my next usage is google drive which i am using because i can to it through email. I currently use the Skydrive system but only because I have an e mail account with Microsoft. It's fine for most things. 1. 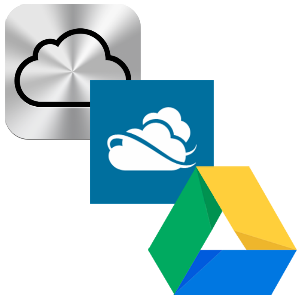 Dropbox and Google drive. becoz of quick uploading of files. Sugarsync is annoying though it has some unique features. btw recently I found replacement for Sugarsync, it is Cubby, still in beta but cool! CX is another cloud storage with cross platform integration. It starts with 10GB of free storage. Cubby is new service, too starting with 5GB easy expandables to more. I do like SkyDrive (mainly for the amount of free storage and Office integration) and I have been using the service since Live Mesh. Unfortunately the service is still a bit immature in my opinion. That's why I still use DropBox as the main files synchronizing application, simply because I can select which folders to sync on each device. Surely I don't want to sync all 7 GB of data to my phone! I like Skydrive because I can back up all my photos in its massive 25gb but I use GDrive because of the docs integration. Writing and rewriting in google drive is so easy and smooth to do. I cloud then Google drive then sky drive in my opinion. but all what i can say " more competsion more benfit for us"
Can anyone confirm if the old Google Docs links shared publicly will remain active if I upgrade to Google Drive? I have several publicly shared Google Docs files that date back to 2008 and wouldn't want to lose them. So if I do upgrade my Google Docs account to Google Drive, will my old Google Docs links from this account be automatically redirected to the Drive location? As far as I'm aware nothing should change. Could you not just copy the documents to your Docs first, then upgrade, and then see? That way you can delete the copies if it works ok. When I upgraded the only thing that really changed was the name (and the ability to upload different files). The look, feel and all my existing Docs and folders remained the same. For now, I sync my important data to Dropbox and Ubuntu One and backup weekly to Box.com through Deja Dup. I also look forward to an official GNU/Linux Google Drive client because I keep my documents there. I also keep all my photos to Google storage for free, through Google+. I got >10 GB free syncing space on both Dropbox and U1 and 50 GB free space on Box.com. I wouldn't use Microsoft and Apple services. Hopefully there will be a GDrive client for Linux soon. One thing I'll say is that if you ever do buy an iPhone or other Apple device, iCloud backups just make sense - it's a free, automatic backup that does the job just fine. Why do you think the only automatic back up/sync option on Android requires root access? Maybe I don't understand how iCloud is different? Well iCloud creates a carbon copy of your iPhone. If you were to break your iPhone on Monday, having plugged it in the night before (connected to Wi-Fi), you'll have a full backup waiting for you in the cloud. If you bought your new iPhone on Tuesday, chose to restore from iCloud (which admittedly takes a long time even on fast connections) then your new iPhone would be indistinguishable from the one you broke, right down to the way your home screen is arranged, wallpaper, text messages and so on. As far as I'm aware, the only product that does a similar thing on Android is Titanium Backup - which is a great app, and serves its purpose very well. It just requires that the user has rooted their phone first, which is a) a little dangerous if you're not sure what you're doing and b) not the most user-friendly thing to have to do to your phone from a consumer point of view. Power users don't bat an eyelid, but my dad wouldn't understand what or why he would need to do. It's not a dig against Android, just an example of how iCloud is a great little backup to have running. Hopefully this clears up any confusion! I see. A complete all in one restore function, including personalized settings. Pretty convenient. The only piece I see missing with Android is the ability to backup and restore the personal settings (barring root access), which can take a while to manually restore. Of course, the ease of restoration with Android also depends on which services you use for mail, contacts, document, photo and music storage. Thanks for explaining. I use Google Drive and Skydrive. Although for some reason the Skydrive desktop client always crashes. Google Drive works flawlessly. What OS do you use? I'm using the SkyDrive client on Mac OS X and it works flawlessly... better than GDrive in fact, which takes some time to notice I've added files before updating. I use Windows 7. Weird that Skydrive would work better on OS X than Windows 7. It could be some conflict on my system, not sure. I have accounts with Dropbox, Box.net and SugarSync (I don't care for Google Drive so I don't list it) and do you know which one I find the most handy? SugarSync. No, really. When it comes to set-it and forget-it functionality, SugarSycn beats the others, in my book. Thanks for your input, we've covered SugarSync before and it's actually featured on our Best Of Windows Software page (not sure if it's on Mac, iPhone, Android etc...) though. Ah, good. It often gets overlooked. Good little program. My only problem with it is the interface, which can be confusing, but as far as automating your syncs, it's top notch. You should know that a new interface is in the SugarSync 2.0 and while it's currently in beta, it is available for download. Yeah, I have that install file ready to go. You know what's funny? After my comments about the interface, I'm still wary about upgrading because SugarSync works so damn well, I'm reluctant to mess with it. I have two areas I use for writing at home. WIth Sugarsync, my files are always updated, even when i go back and forth. It's pretty incredible. Thanks for your input Vipul. SkyDrive is so deeply integrated into the next big OS from Microsoft (next two big OSes if you include Windows Phone) that it simply couldn't be ignored. I also think if you were lucky enough to get the 25GB of free space (I was, still looking for a use) then that makes the deal seem that much sweeter. By comparison, Dropbox's 2GB pales in comparison - though I still like Dropbox. Dropbox was the main innovator when it came to this folder syncing lark, they did it "first" so to speak. I agree there's lots you can do with Dropbox, but I've honestly found myself using Box more (because I was given 50GB of free space for signing up a while ago) and Google Drive more recently because it's where my work lives. On an unrelated note I've decided to put a load of music in SkyDrive for use with the Djay iPhone app. This way I can bypass iTunes by choosing "Open in... Djay" which for me is a lot quicker and more useful than using iTunes. So I guess I finally found a use for SkyDrive, albeit a somewhat limited one. Box is crippled for non-enterprise owners. Lack of a proper syncing program (only an uploader) meant I never ended up using it at all, aside from uploading pictures from my TouchPad. They shouldn't have given me 50GB of free space and very little in the way of real-world use for it! can you make public links from it?